EDSYN Desoldering Station. Self-Contained Deluxe Hot Tip Desoldering Station. An industry leader in performance for years, now at an incredible price - Our Best Seller. 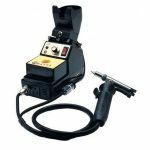 Edsyn Desoldering station has been our best selling hot tip desoldering station, and now you can experience why when you take advantage of this incredible pricing. 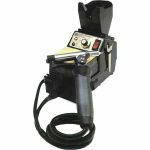 Purchase a EDSYN Desoldering Station Today!